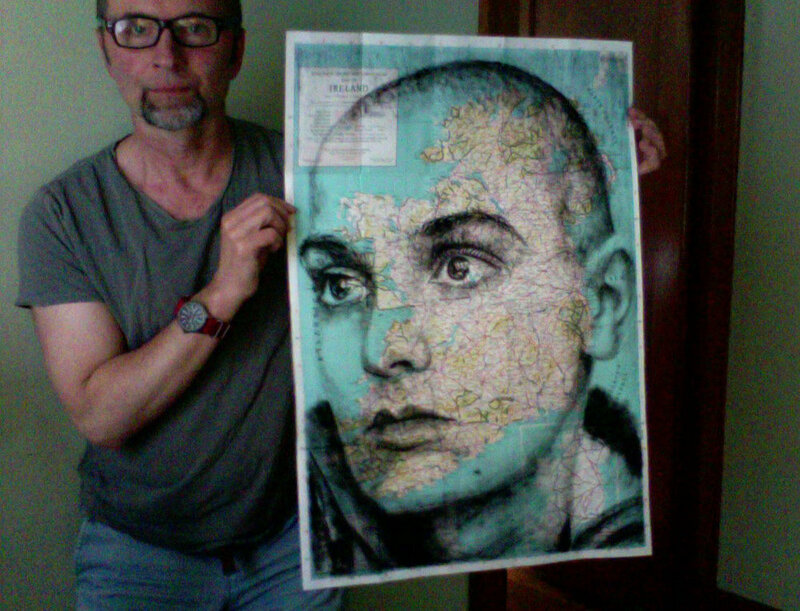 Here's a portrait of Irish singer, Sinead O’Connor. While drawing this piece, I kept contemplating the tragic losses of public figures, Kate Spade and Anthony Bourdain. Like many, I kept thinking, how can these people who seemingly have it all, choose to take their lives. There’s a saying, “You don’t know if the roof is leaking unless you’re inside the house”. It’s too bad we can’t see inside the internal landscape of anyone’s psyche. They might be stuck in a dark emotional valley, and don’t have a map for climbing out of it. It’s a good reminder to be kind to others, and stay tapped into our empathy. It might make a difference in their lives. Prints of this portrait are available here.